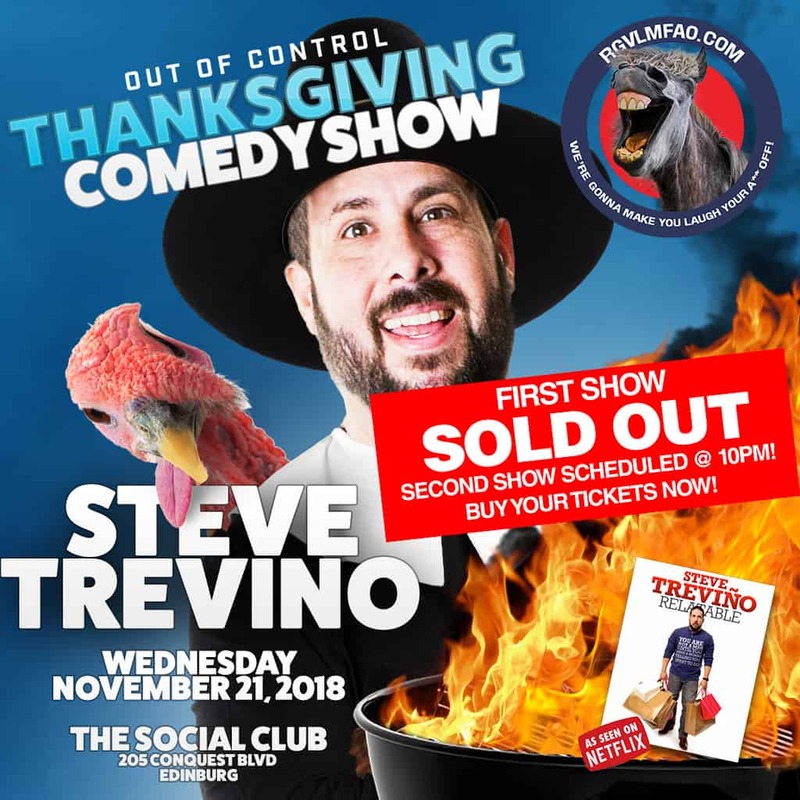 Thanksgiving Comedy Show on Nov. 21st at 7pm starring Steve Trevino at the Social Club in Edinburg! Outside of being a national headliner, Treviño has made memorable appearances on The Late Late Show, Comics Unleashed and BET Comic View, among others. He also wrote on Mind of Mencia and produced and wrote on rapper Pit Bull’s La Esquina. Treviño landed in the Nielsen Top 20, with his 1st Showtime comedy special, Grandpa Joe’s Son. His 2nd special Relatable is currently on Netflix. © 2018 RGV LMFAO, All Rights Reserved.